I recently attended a Gluten Free event at Walmart. I’ve attended these events previously and love checking out all of the gluten free foods that they have to sample and seeing what new foods may be available. Being a self proclaimed foodie I love trying all foods and my brain is always working on how I can incorporate an ingredient or product into a recipe. One particular food stood out for me at this event, the Quaker Popped Hummus Chips. 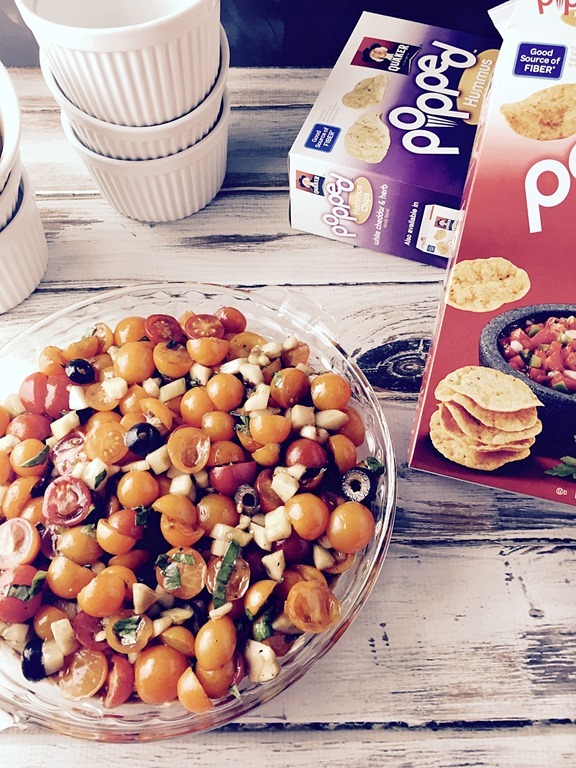 Who doesn’t love chips and they’re gluten free & provide 3g of fiber per serving, count me in! 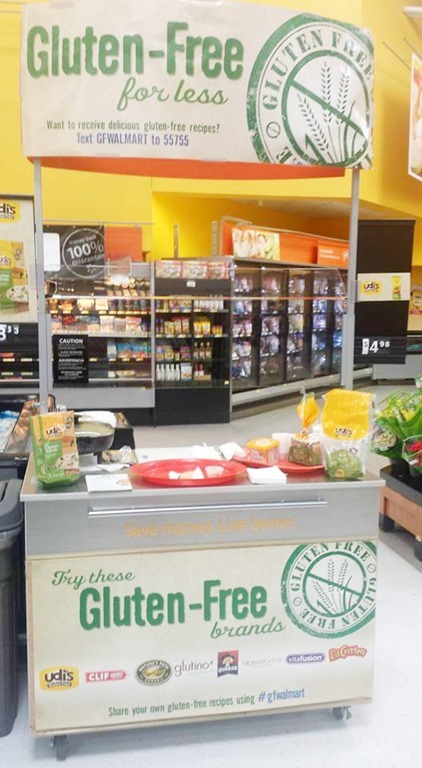 To learn more about gluten free products that are available at Walmart and to find gluten free recipes visit them online here. I’ve tried rice cakes before and well they were just meh, okay. I didn’t hate them but I wouldn’t run to the store at midnight because I was having a craving for them either. When I saw the Quaker Popped Hummus Chips I was intrigued but honestly I wasn’t sure if I would love them but let me tell you I was pleasantly surprised at how good they are! I could definitely see myself on a midnight run to the store just to grab some. Yes, I’ve been known to get dressed and run to the store at midnight or ask my hubby to pleaseeee go for me. Okay more often than not he goes and I wait for him all snuggled up at home. Don’t judge .. I know at least some of you have to make midnight runs to the store for snacks, too. 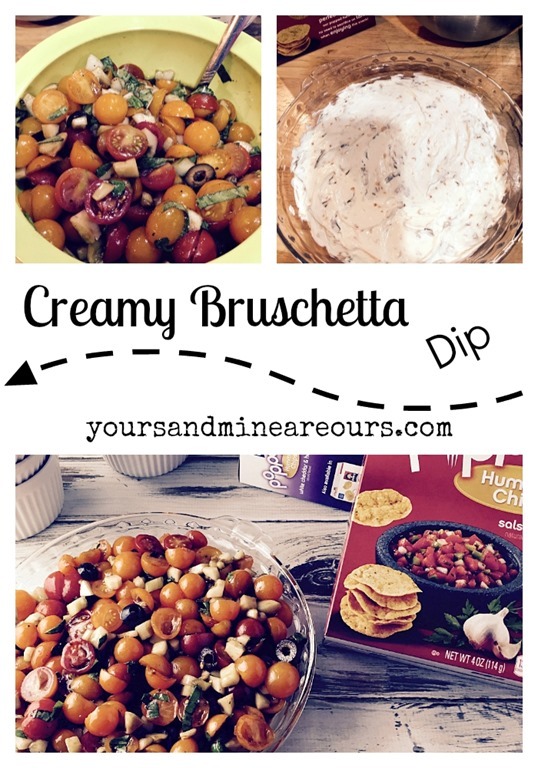 We tried both the White Cheddar & Herb and Salsa Fresca but the Salsa Fresca were definitely my favorites. Hubby liked them both. Yes, even he liked them! So, I had lots of ideas for these crackers but decided to put them to the test with a heavy dip first. I was curious not only about how they would pair with the dip but if they would hold up to the weight of the dip. They did not disappoint on either front! 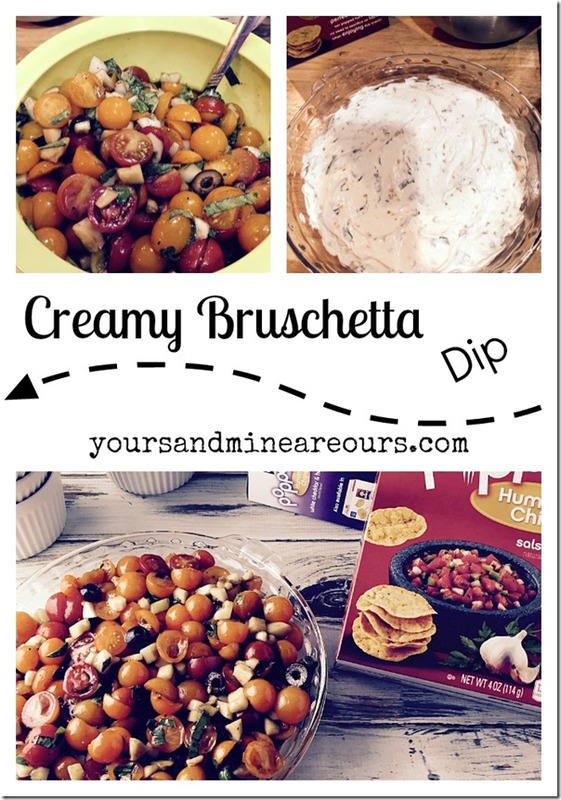 Oh, and this dip .. just wow! It’s the perfect way to use up your end of season, bumper crop of cherry tomatoes. You could also use grape tomatoes if you have those. If you don’t grow your own then stop by a local farmers market and grab a couple pints for this recipe. Believe me you won’t regret it! If you’re going to share it then you may want to make two recipes. Hubby and I may or may not have sat and ate the entire recipe… in.. one.. sitting! Combine diced cucumbers, halved cherry tomatoes and basil in a medium size mixing bowl. Add olive oil and balsamic vinegar and toss to combine. Add salt and pepper, stir to combine and then refrigerate for 1 to 2 hours. Heat 2 tablespoons of olive oil in a small skillet on medium heat. When oil is hot add minced garlic and cook until toasted to a light brown. Remove from heat and set aside. Add softened cream cheese to your stand mixer and whip until smooth and somewhat fluffy. Add basil and toasted garlic & olive oil mix to your cream cheese and mix until incorporated. Spread cream cheese mixture in the bottom of a pie plate with more on the sides and a well in the center. Using a slotted spoon scoop the Bruschetta mixture on top of the cream cheese mixture, leaving the liquid behind to discard. Serve with Quaker Popped Chips. My personal preference is the Salsa Fresca but feel free to choose your favorites. *Chiffonade cut simply means to cut herbs such as basil or mint into thin strips. The simplest way is to stack the leaves on top of each other, roll the leaves into a tight roll length wise like a cigar and then slice straight across with a very sharp knife, in very thin strips. Once cut, fluff the pile of herbs to separate and use promptly. I love all of the gluten free options that Walmart offers. This looks so yummy and fresh. 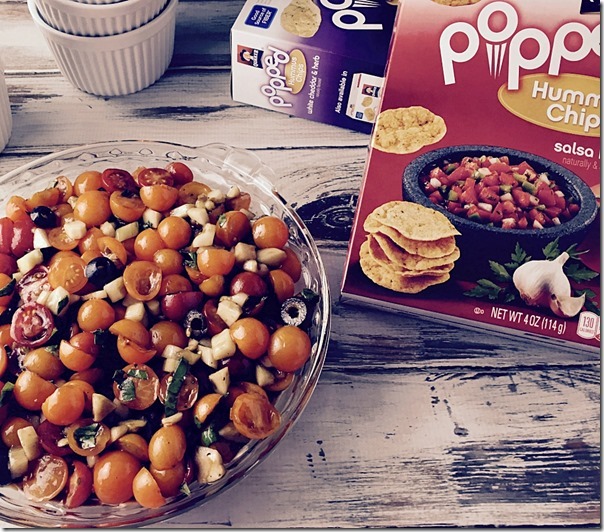 Perfect for a family cookout or a lazy Sunday. Thank you for sharing!